Steele Hill Resort’s Gunstock Ski and Stay package is the best deal in the Lakes Region. Stay with us for a minimum of two nights and receive 20% off accommodations for each night of your stay, and experience the thrill of skiing on the slopes of Gunstock Mountain with breath-taking views of Lake Winnipesaukee. After carving up some of the best groomed runs in New Hampshire, head back to Steele Hill and enjoy full use of our award winning amenities. Relax your sore muscles in the warmth of our roman spa or take a dip in the large, heated indoor pool. Guests are invited to refuel and unwind after a day of fun with a hearty meal by the fire in the Resort’s Hilltop Restaurant. 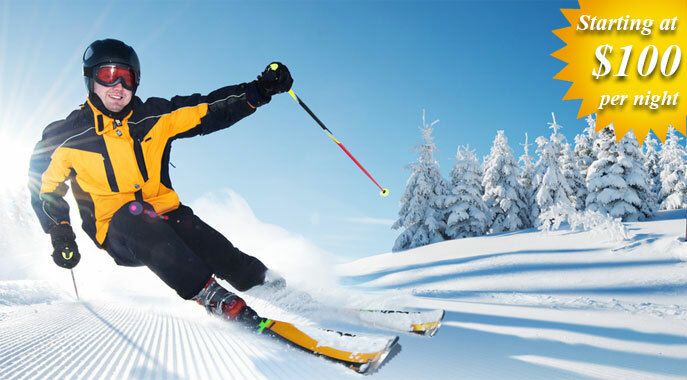 Package includes a $25 gift card valid at the Hilltop Restaurant, The Oasis indoor pool bar, and The Market convenience store and 25% off ski tickets to Gunstock Mountain for each night of your stay. Steele Hill is your perfect choice for Gunstock lodging. Rates starting at $100.00 Per-Night!